From the start, modostudio , the Rome-based multidisciplinary office, set itself high goals. The three co-founders Fabio Cibinel, Roberto Laurenti, and Giorgio Martocchia, after a long collaboration with internationally acclaimed architects such as Massimiliano Fuksas, Piero Sartogo, Erik Van Egeraat and Kas Oosterhuis, put their own diversified skills, along with expert collaboration, into effect, thus producing a significant body of work which further explores, urban planning, industrial design and architectural experimental ideas. The work ofâ¨ modostudio combines architectural theory, research, innovation and experimentation in such a way that it is no wonder that since the practice’s inception in 2006, the office has been awarded and short listed in many international architectural competitions. Putting their practice aside, modostudio partners also taught architecture at Cornell University in 2008 and are currently teaching Architectural Design at the IED-European Institute of Design and Sustainable Design on the Inarch postgraduate masters program. 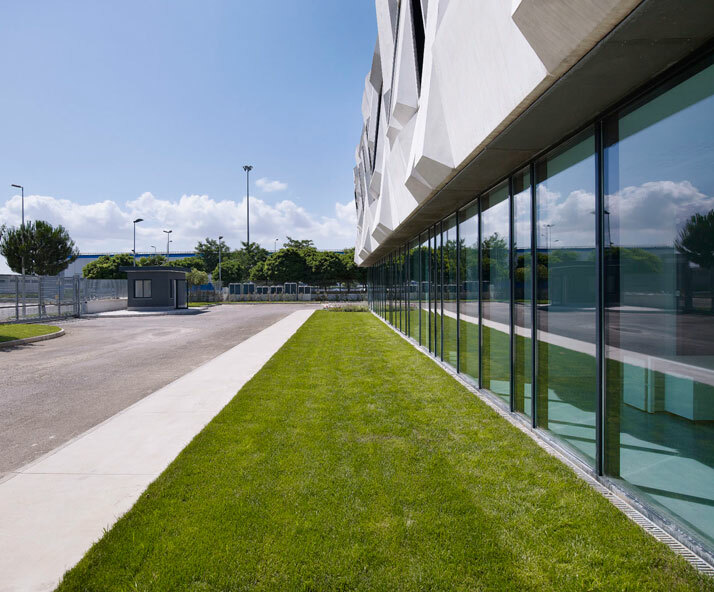 One of the studio's recently completed projects is the Office building and logistics centre for fashion company, Giorgia & Johns, headquartered on the premises. 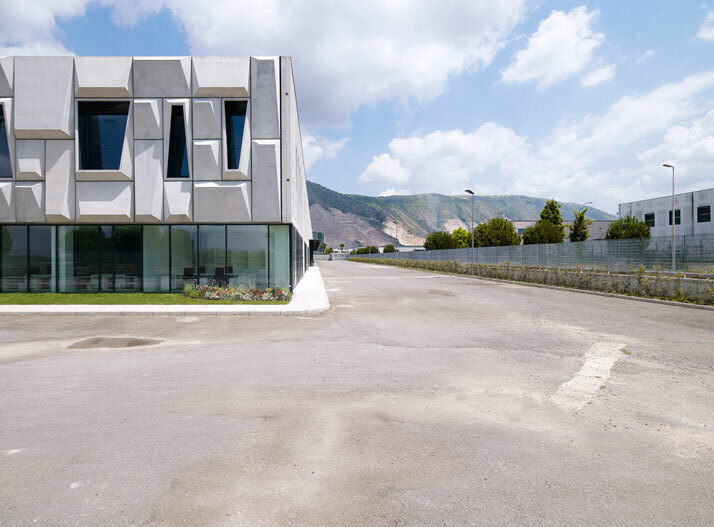 Situated in Nola, Campania, the site area, totalling 20,235 square meters, occupies a privileged spot in the strategic industrial area and is also highly visible from the main highway which shuttles traffic from the north to the south part of Italy. 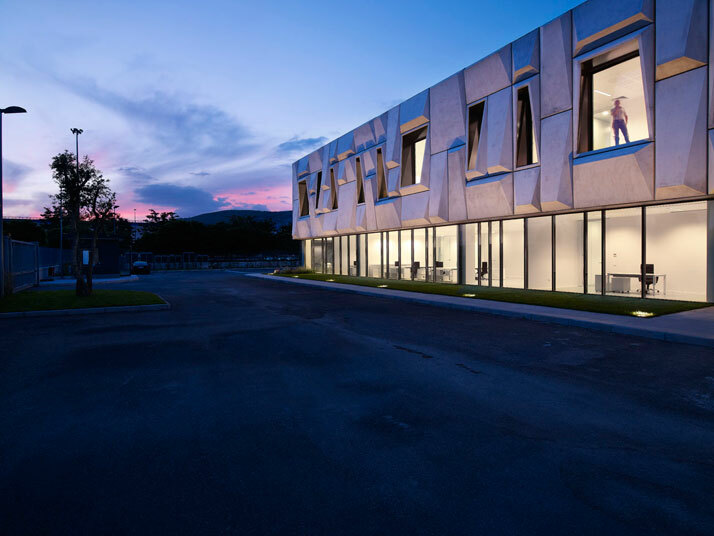 Due to its location, one of the client's primary requests was the creation of a very strong and recognizable facade. On the other hand, it was the studio's intention to maintain extreme simplicity in the composition whilst the notions of innovation, comfort, technology, relaxation and brand representation remainedâ¨prominent. 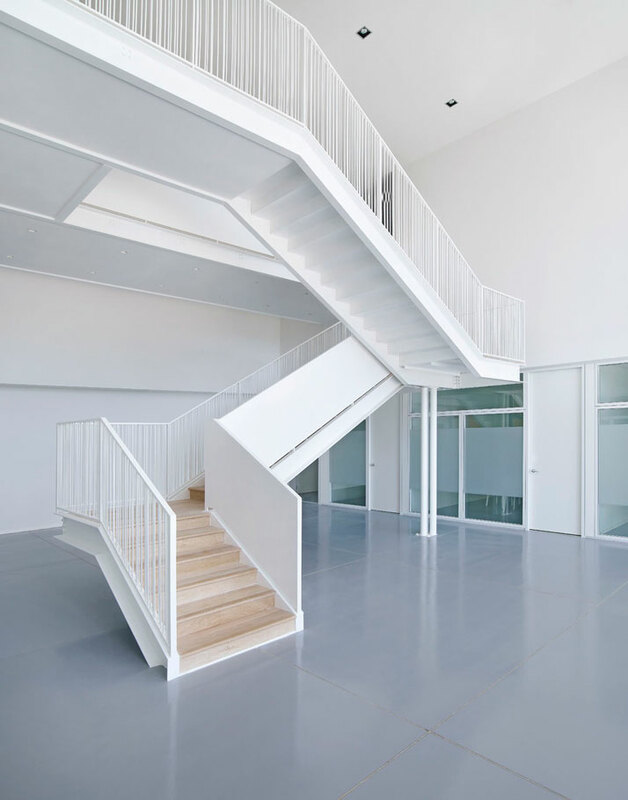 The building consists of two major functional entities. The company's offices, covering a surface of over 2,000 square meters and the vast logistics area totalling 11,500 square meters. The two sectors are connected directly through doors. Motion in the building is generated through the main entrance hall on the ground level, which takes employees and clients to the other departments: marketing, administration, design, product, retail, the managerial offices and the showroom. The office departments occupy the south part of the building along the main facade, corresponding to the short side of the building. Designed in order to guarantee the best flexibility possible, floating floors and modular lights areâ¨introduced in an attempt to give way to multiple modification possibilities through the interior layout of the work places and of the vertical partitions. 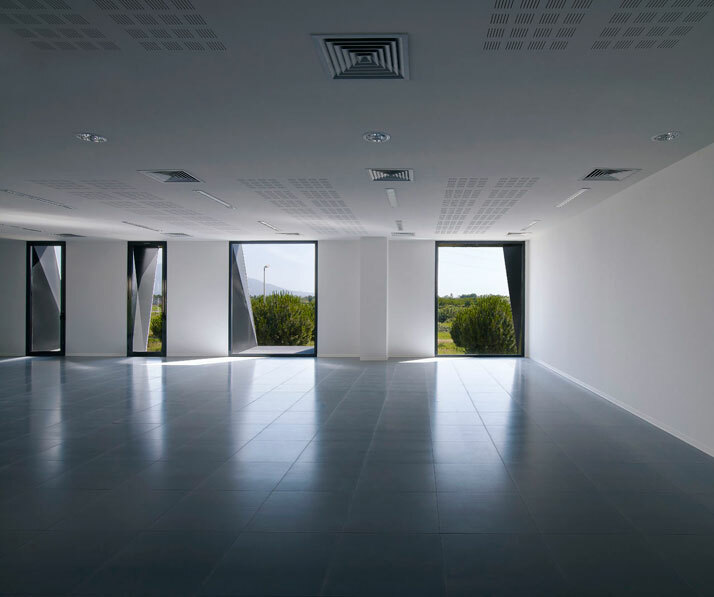 Sunlight is filtered into the work spaces through vertical partitions made of structured glass, intended to improve natural lighting conditions in the interior. On top of that, neutral and light coloured interior materials aim to create a very relaxing work environment, a value which is greatly heightened by the view of the Vesuvius Volcano, framed by the windows in all the offices; a product of the visual studyâ¨during the design phase. 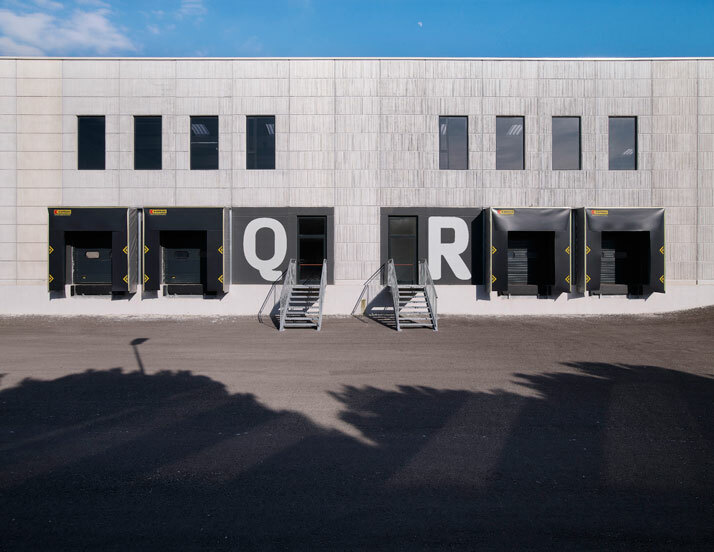 The logistics area, occupying the largest percentage of built surface and integrally connected to the building, is capable of storing all the company’s products (clothes and accessories) which owns over 100 showrooms throughout Italy and Europe. The area is organized into nine different divisions, each hosting particularâ¨products and equipped with loading and unloading gates along both sides of the building. The premises include parking areas surrounding the building which can accommodate more than 70 cars and trucks. Both literally and metaphorically, most of the project’s emphasis is placed on the design of the main facade, the element which eventually landmarks the surrounding area. 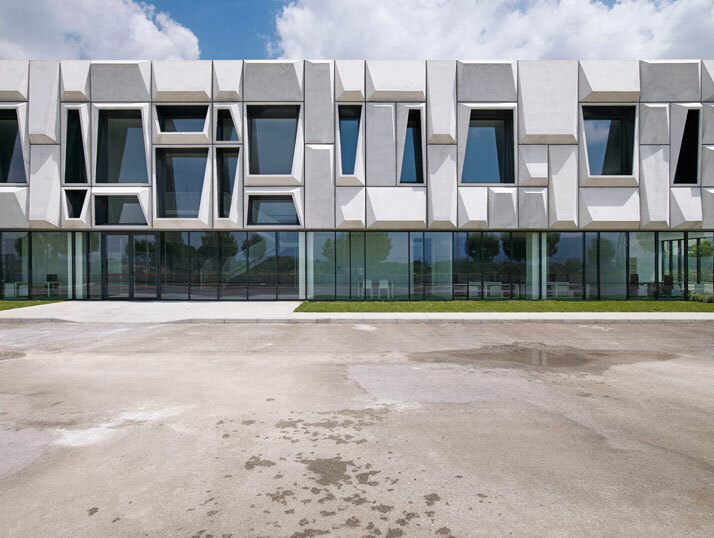 As the structure and the main envelope of the building is made of precast concrete, the architects played along with the idea of pushing the use of concrete to extremes. 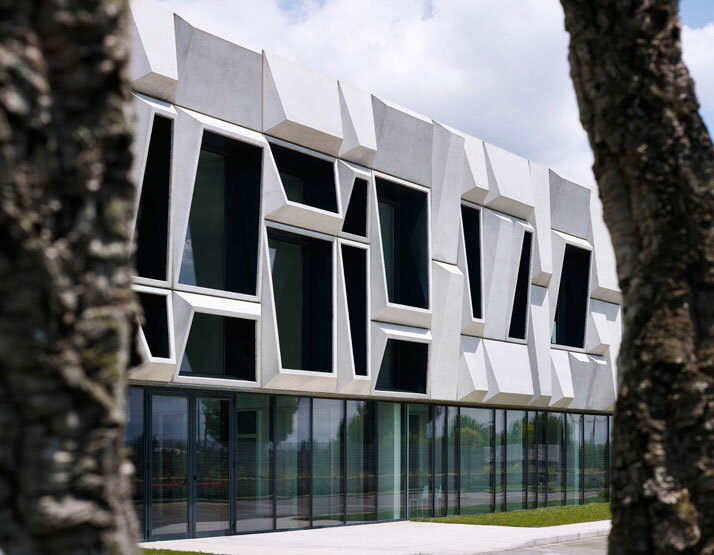 A series of reinforced concrete panels is created featuring a rhomboidal pattern cast in four different sizes. 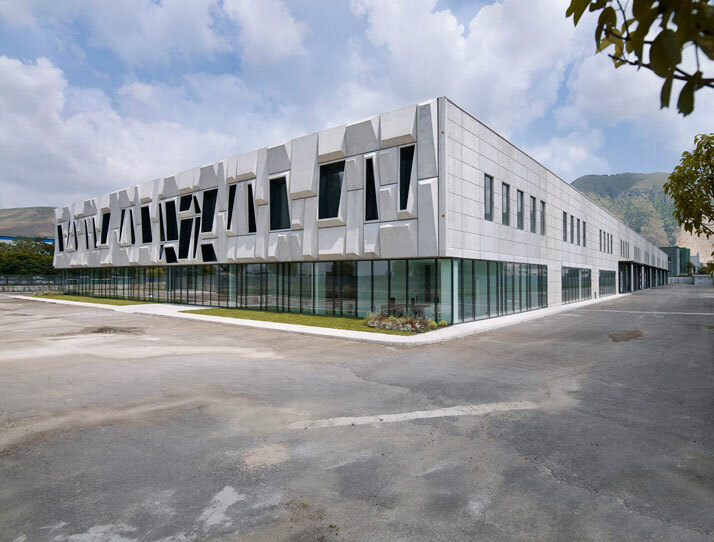 The panels, fixed to the main structural facade through a steel frame system, fabricate an extremely rich texture, which covers the full 60-meter length of the facade. Reminiscent of a Cyclopean megalithic stonework, this elevated, strong and sharp frieze dominates the gaze of the passer-by and is greatly accentuated by the large glass curtain wall which characterize the offices on the ground floor. The position and rotation of the different-sized panels, combined with the faced concrete surfaces, creates an interesting ever-changing play on shadow and light throughout the day and at night with appropriate light effects. 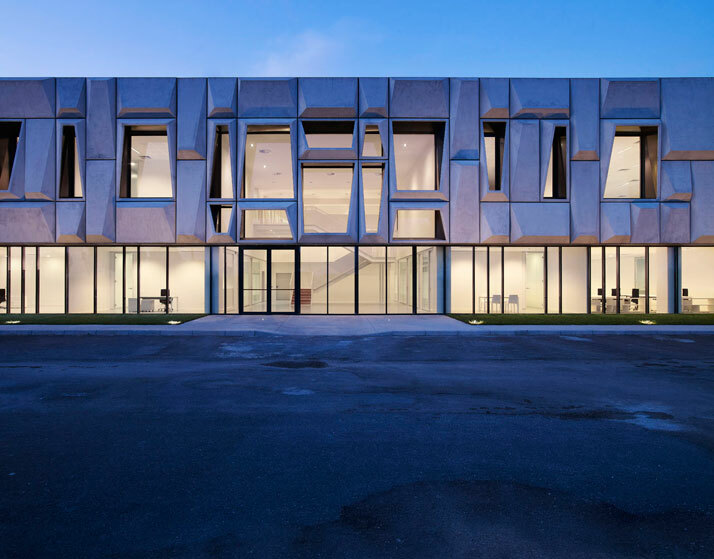 On the whole, the project manages to portray the simplicity of its external shape, by experimenting with new architectural solutions with precast concrete technology and the introduction of an ambitiously textured facade, proving that simple but strong ideas can provide the balance between low budget construction and architectural significance.